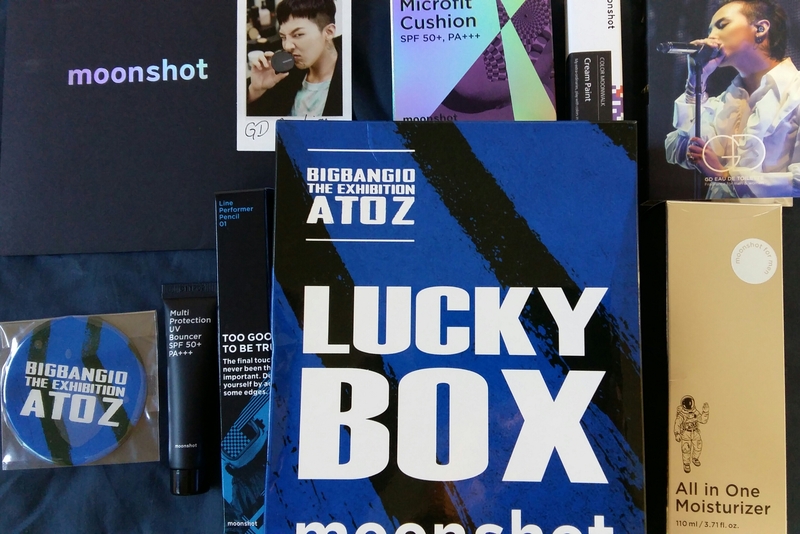 This time last year, I shared some of my favorite Korean BB creams. Now it’s time to discuss South Korea’s most recent foundation innovation: the cushion compact. 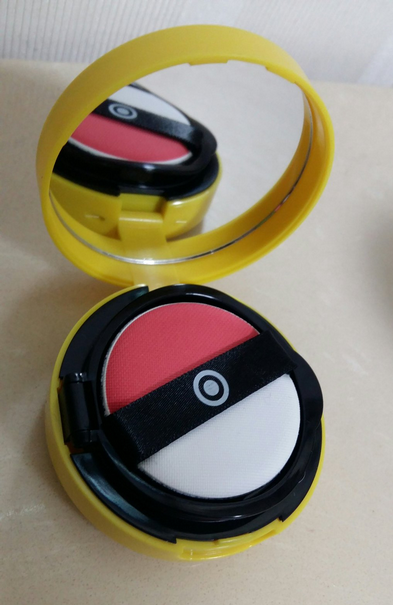 These cute, travel-sized compacts contain a sponge soaked with the foundation formula and a separate area for the uniquely designed sponge applicators. The creams provide light coverage as well as SPF, hydration and anti-aging ingredients. They’re so easy to use, there is no reason to return to clunky bottled foundations. I’ll start with the most obvious choice. 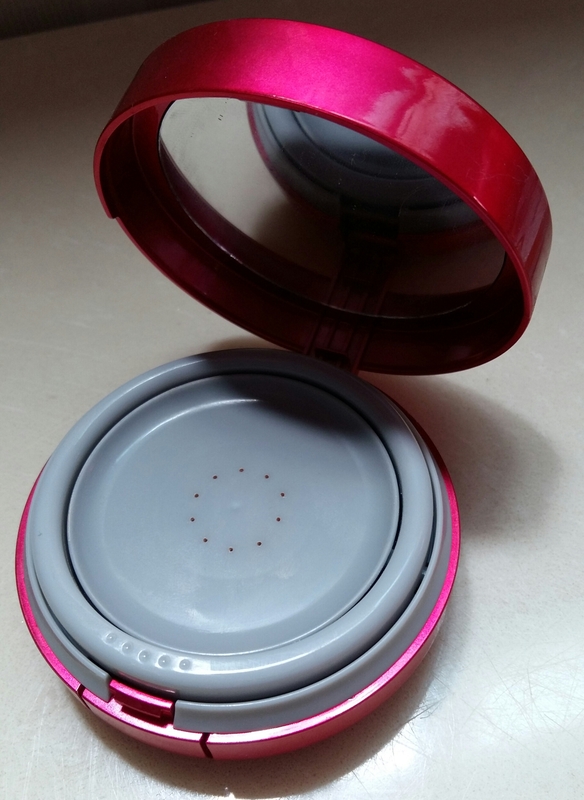 The IOPE Air Cushion Compact is so popular in Asia that — allegedly — one is sold every 30 seconds. 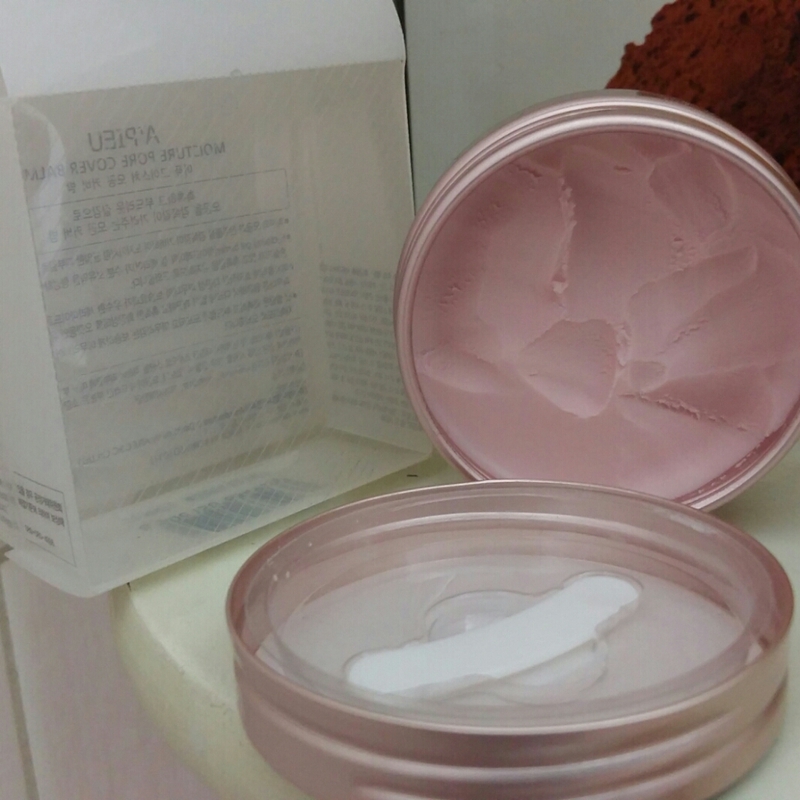 If you are going to buy one Korean makeup product, this should probably be it. It offers great sun protection (SPF 50), has cooling properties and lightweight coverage, so it’s perfect during the summer. It’s offered with natural, coverage or shimmery finishes. I chose the one with more coverage, but it is still one of the lightest creams I own. It’s sheer and blendable, and the sponge applicator helps the product go on super smoothly. 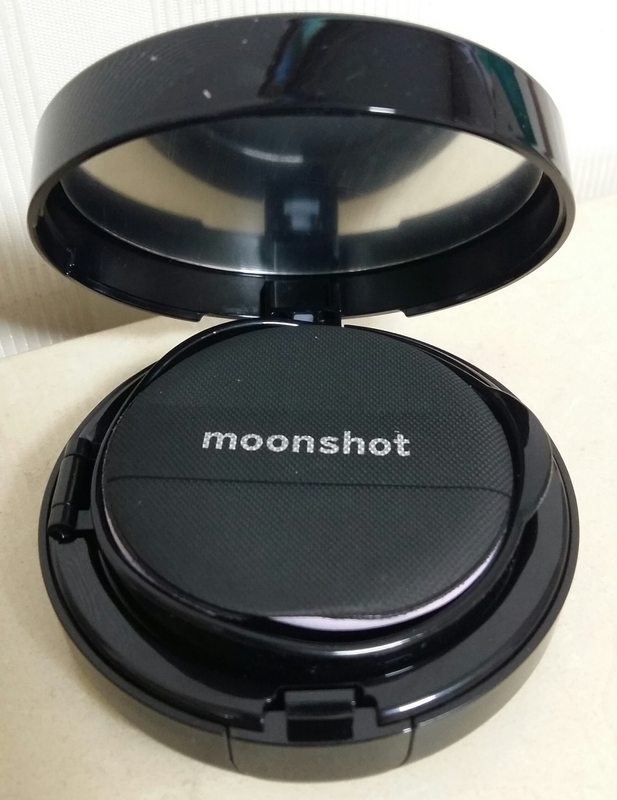 This compact is legendary in Korea, and it’s worth checking out. This is a product that I actually mentioned in my BB cream post last year, and it is still one of my absolute favorites. Of all these cushion compacts, the Banila Co. Bouncing Cushion provides the best and fullest coverage, so it can be used on a wider range of occasions for a wider variety of makeup looks. 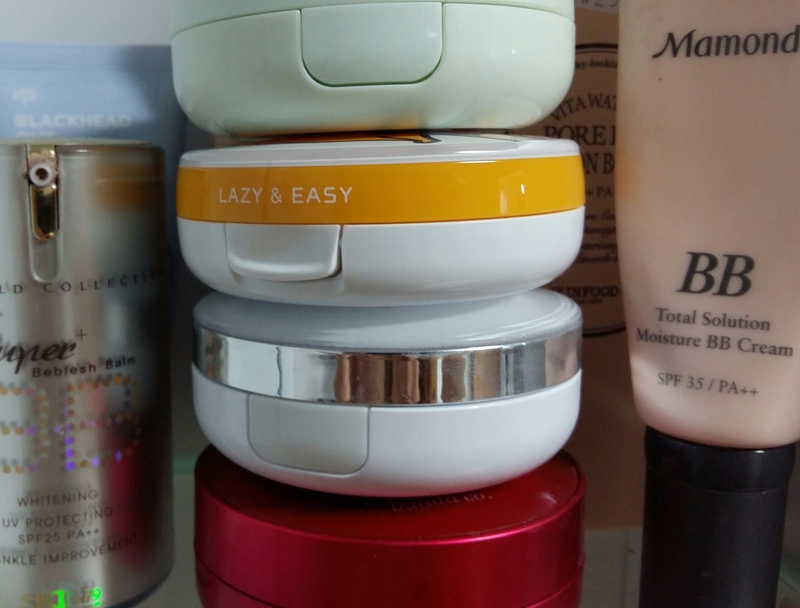 This is also the only compact that doesn’t use a sponge soaked with the formula for application — instead, you press the rim of the compact to dispense product as needed. I love the detail of this packaging, and the product works amazingly well. Cannot recommend this cushion enough. The Etude House Magic Any Cushion is more of a primer or base product to use before adding BB cream or foundation. These cushions are intended to create a smooth surface, moisturize and eliminate redness before you move on to the next step in your makeup routine. Etude House offers the compacts in three shades: pink, mint and peach. 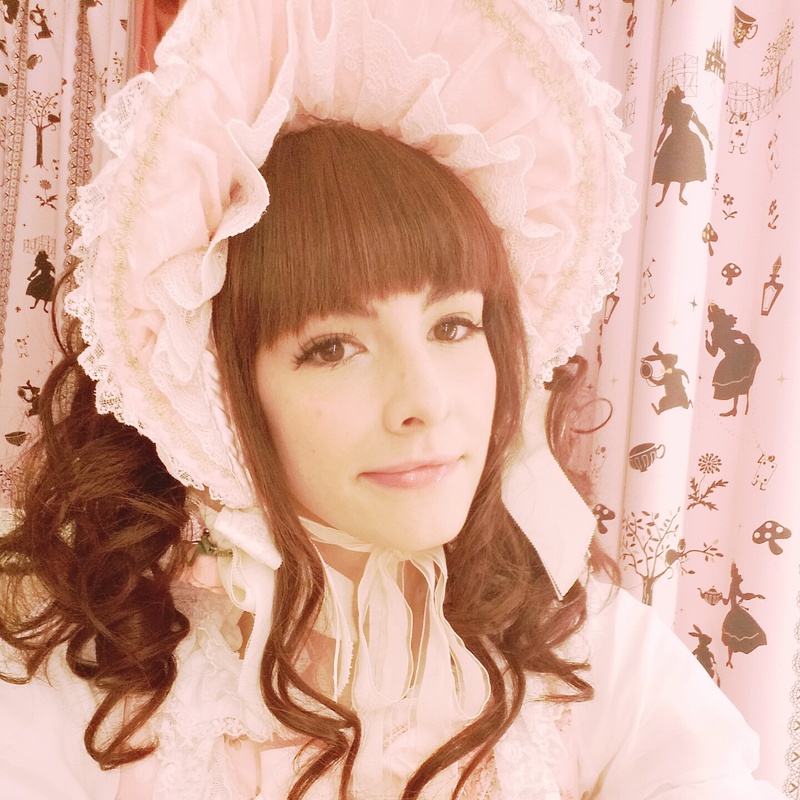 Pink is meant to lessen the appearance of dark circles and brighten pale skin tones. Mint helps cancel out redness, blotchiness or uneven skin color. Peach is meant to brighten dull skin and create a glowy finish. This product doesn’t really provide any coverage, but it prepares the skin so you can get the most out of your other compacts. I really enjoy using the mint cushion to begin my makeup routine. Ahhhhh. It’s so cute. Honestly, this formula does not really match my skin tone. But do I care? No, I do not. 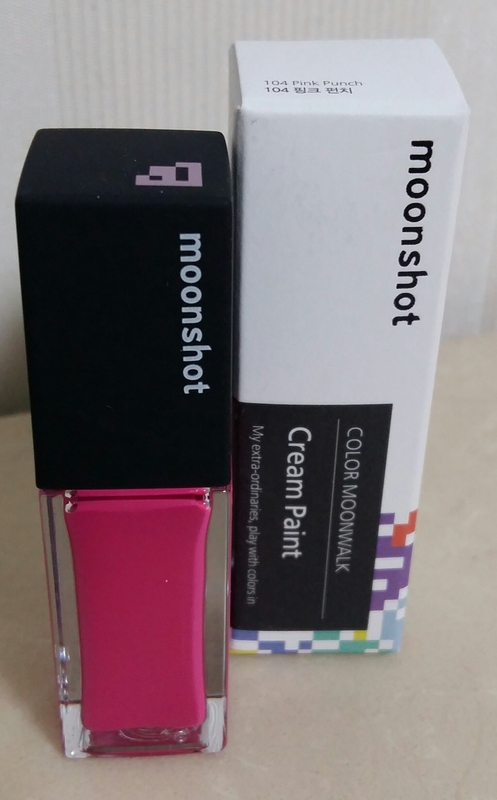 I allowed the salesgirl to swatch it for me, but I already knew that I would buy this product anyway. 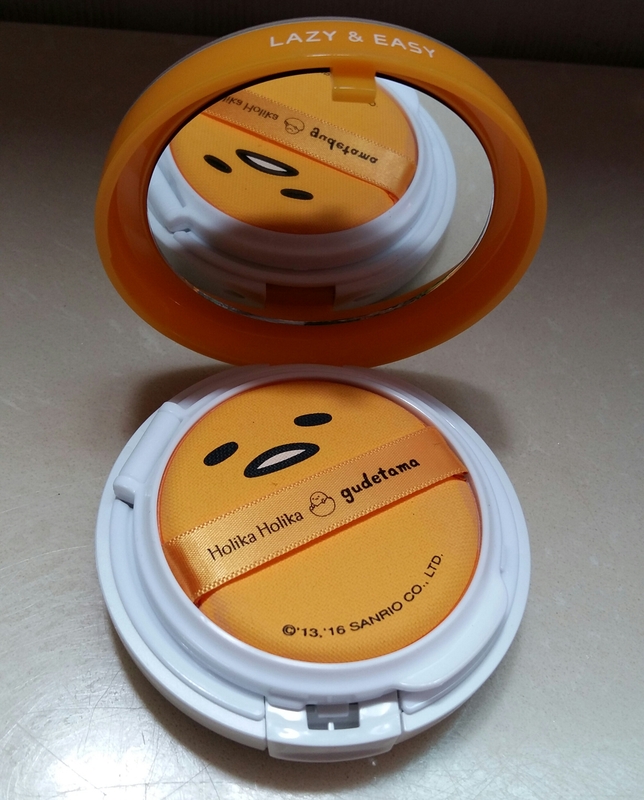 I love the entire Holika Holika/Gudetama collaboration. 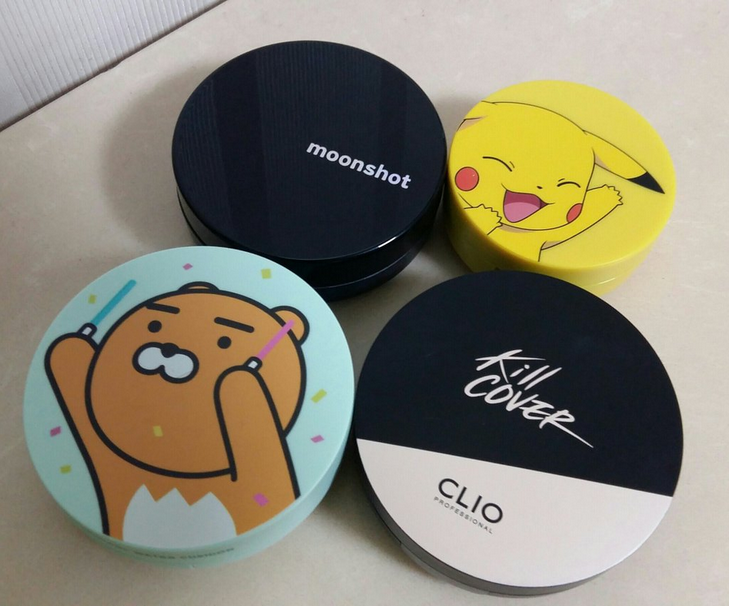 The cushion compacts come in three different designs, but the shades don’t vary much (very light with pink undertones). 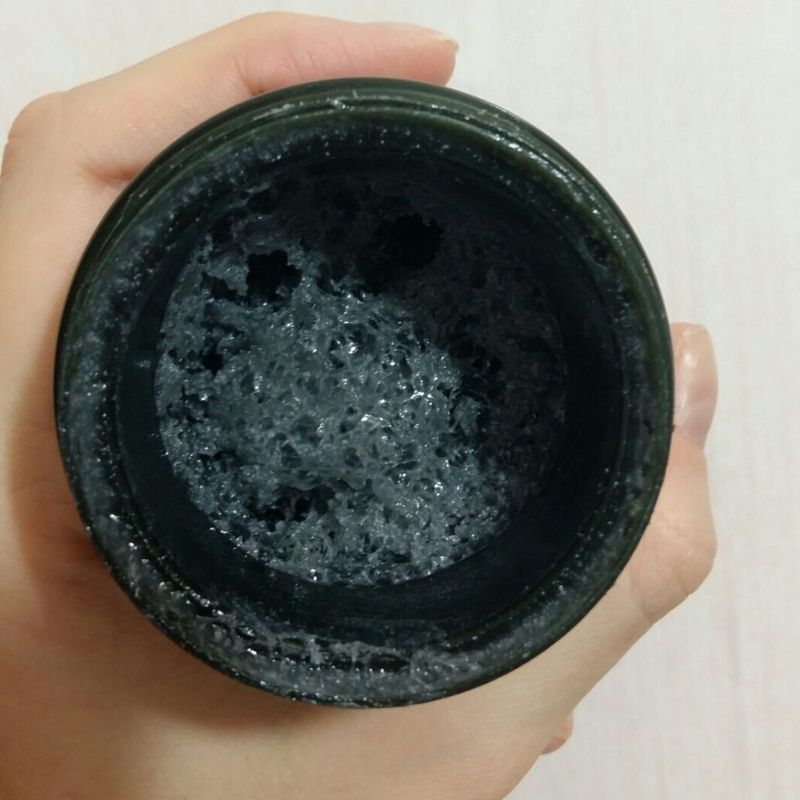 It provides a dewy finish, which is very popular in Korea but can be off-putting to anyone with oily skin. 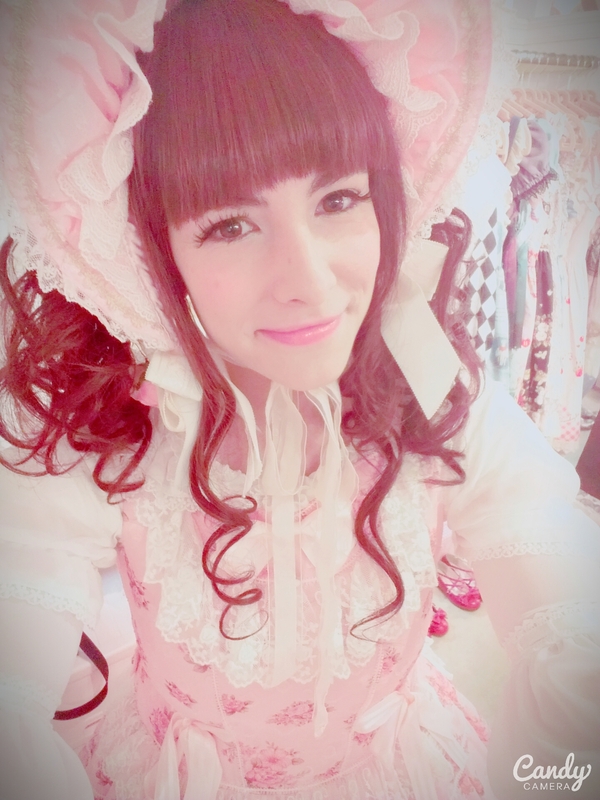 For me, the product is perfectly nice, and I will continue to use it just because. The coverage is fine. The product is fine. 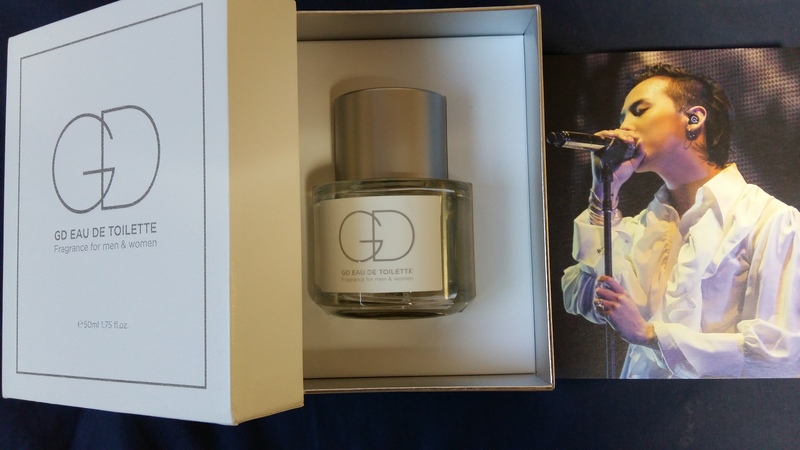 But the packaging is to die for(!!! ), really. I love it so much. 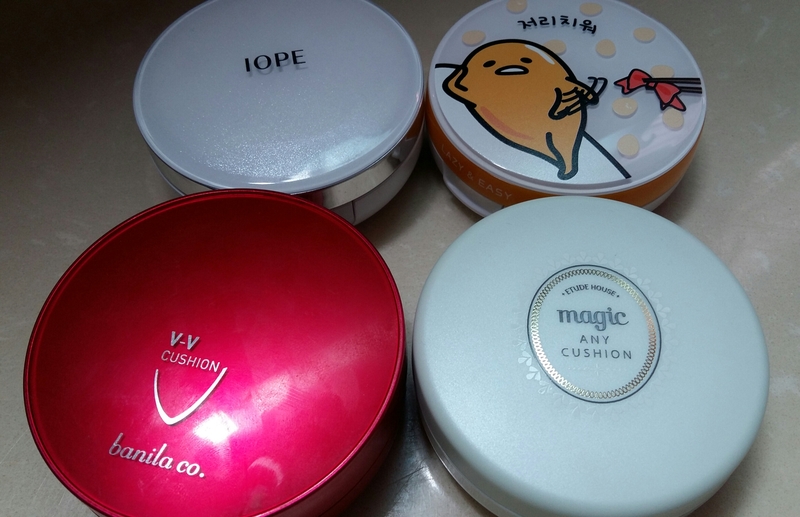 This entry was posted in Beauty, Fashion, Korea and tagged air cushions, Banila Co., Banila Co. VV Bouncing Cushion, bb cream, beauty, beauty balms, cc cream, cushion compacts, Etude House, Etude House Precious Mineral Magic Any Cushion, face 2 change photo ready cushion, foundation, gudetama, holika holika, Holika Holika x Gudetama Face 2 Change Photo Ready Cushion, IOPE, IOPE Air Cushion Compact, k-beauty, korean beauty, magic any cushion, makeup, moisturizer, precious mineral, primer, spf on July 9, 2016 by screamfmlondon. As anyone will tell you, cleansing and removing makeup are some of the most important steps in a skincare routine. In South Korea, double-cleansing is such a popular practice that many people use two or three different cleansers and makeup removers each night. I love this cleanser! It is so cool. Typically, in Korean skincare, you will cleanse first with an oil-based cleanser and then follow up with a foam-based cleanser (this is the double-cleansing process). 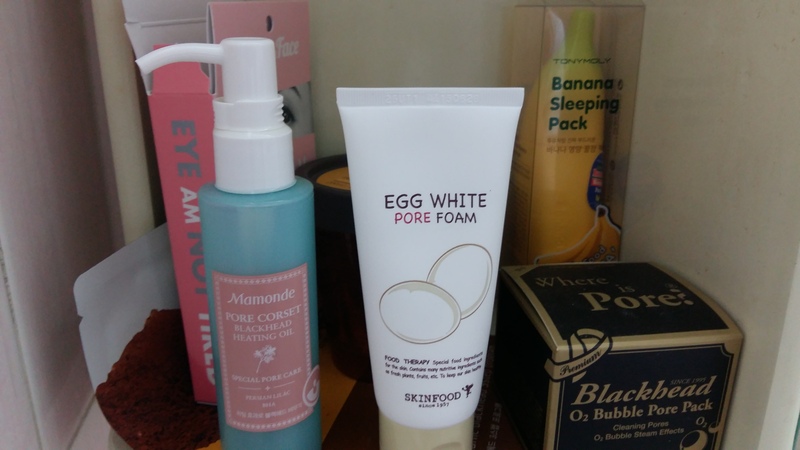 This Face Shop BB Cleanser is both in one bottle: it goes on as a sweet-smelling oil cleanser that works quickly to remove makeup and BB cream, and then turns to foam when water is added to complete the cleansing process. This product is really great. It removes makeup well and saves time during a nightly skincare routine. It’s important to exfoliate a few times a week to get rid of dead skin cells and debris that can clog pores. 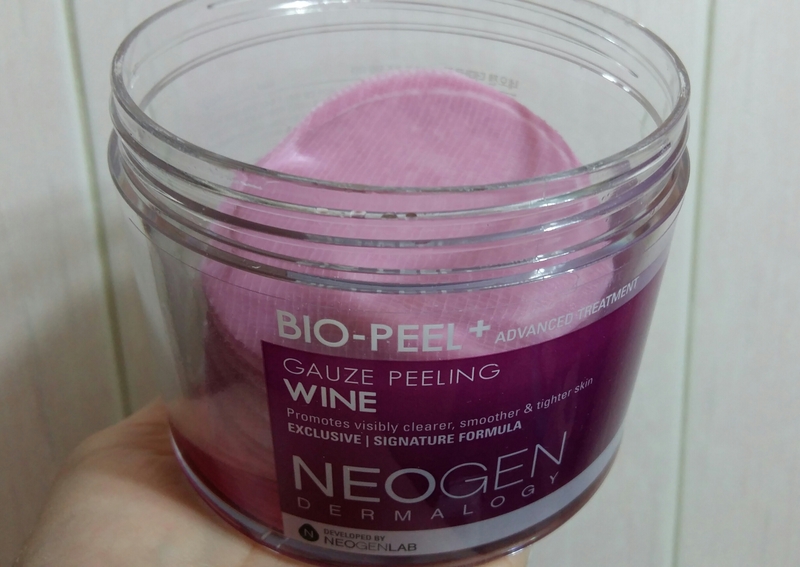 These Neogen cleansing gauze pads combine manual exfoliation (scrubbing the skin with something textured) with chemical exfoliation (certain ingredients like lactic acid that reach deeper into the pores to help clean). They smell like delicious grape soda and contain red wine extract, an antioxidant, which also helps exfoliate. The treaded side of the gauze pads cleans off the skin while the more cushiony side absorbs and distributes the formula. These are effective and fun to use. I highly recommend them. This Etude House cleanser is also a nice exfoliant. The bottle comes with an attached soft rubber brush that dispenses the foam cleanser when you press down on it. It’s ridiculously easy to apply and to clean the brush after use. The product works well to brighten and massage the skin while you cleanse. I noticed an immediate different in my skin after the first few uses: it was brighter and clearer as soon as I rinsed off the foam. It’s a little drying, but I like this product well enough, particularly for the convenient packaging and quick results. 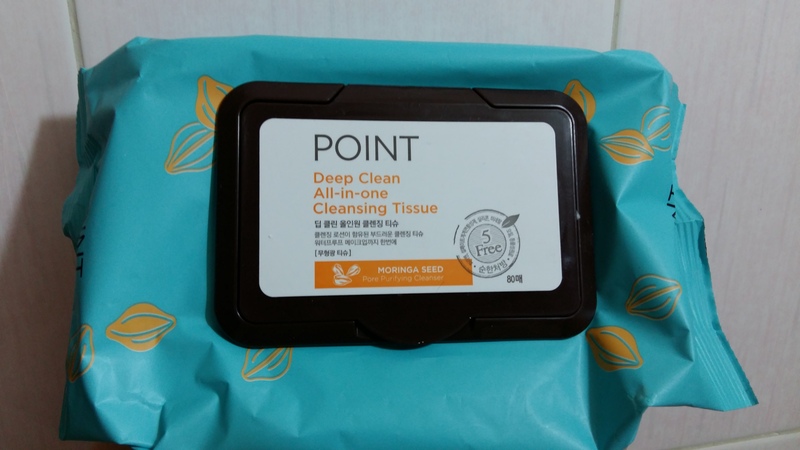 I feel like it’s nice to have these cleansing tissues on hand when you don’t have a lot of time to do all the cleansing but know you can’t go to bed without removing your makeup and washing your face. These work surprisingly well to remove makeup quickly. The ones I use contain moringa seeds, which are supposed to provide a lot of benefits to the skin. These seeds are said to be very good for pore-purifying and can also protect skin from things like pollution, smoke and smog. This entry was posted in Beauty, Korea and tagged antioxidants, bb cream, beauty, chemical exfoliation, cleansing, cleansing oil, clogged pores, double-cleansing, Etude House, Etude House Magic Bubble Brush Peeling Foam, exfoliating, foam cleanser, k-beauty, korea, korean beauty, lactic acid, makeup, makeup remover, manual exfoliation, moringa seed, neogen, Neogen Dermalogy Bio Peel Gauze Peeling Wine, point, Point Deep Clean All-in-One Cleansing Tissue, red wine extract, skincare, the face shop, The Face Shop Face It One-Step BB Cleanser on February 7, 2016 by screamfmlondon. And that is how I came to be really diligent with my skincare routine. Soap and water would no longer cut it — I needed to really deep clean my pores and do it regularly. I’ve since tested many dozens of products, gotten a pretty solid routine down, and found that no country creates better skincare products than South Korea. I love this product so much. It is a transparent balm you apply to your skin before makeup to even it out, minimize pores and create a smooth surface. It smells powdery fresh, and it goes on so smoothly. It’s also just delightful to apply this — it feels like you’re gently massaging the most luxurious, velvety serum into your face. The effect is immediate: your skin will look soft and perfect. It’s also moisturizing (obviously, hence the name) and can help hide enlarged pores, fine lines, acne scars, etc. The balm even comes with a little spoon in the package to keep the product hygienic when you scoop some out. They thought of everything. This product is amazing! 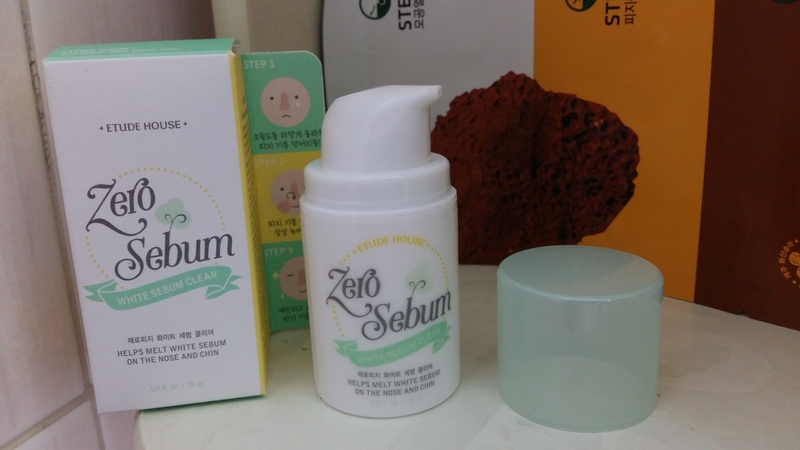 Etude House actually has a small collection of Zero Sebum products, and now I plan to pick up every single one of them because this White Sebum Clear is so wonderful. It is a cream that you apply to afflicted areas (chin, nose, forehead, etc. ), leave on for a few minutes and then wipe off. It is supposed to melt away the lumps of oily, waxy sebum that can build up on the face. The first time I used it, I didn’t notice that it did anything and thought it was a dud purchase. However, when I tried it again a while later, I noticed the difference immediately. I applied the cream at night and cleaned it off before bed. The next day, my skin was already noticeably smoother and my pores clearer. Now I use the product regularly, and I can’t recommend it enough. This cleansing oil is really interesting. When you pump it out of the bottle, you can feel it heating up in your hands. It gets even hotter as you apply it to your face. The warming effect helps clear away built-up dirt and makeup in your pores, and then you finish the process by rinsing your face with cold water to tighten the pores again. It’s supposed to cleanse, mildly exfoliate, and control sebum. I like this cleansing oil, and it leaves the skin feeling clean and soft. But, although it boasts Persian lilac as the main ingredient, it definitely feels more chemically. You don’t want to get it in your eyes or mouth because it burns horribly and tastes worse. Not that that’s happened to me, of course. It’s very fun to have a reliable face mask to slip into your skincare routine every so often. I like this one from Caolion, which contains charcoal powder, ginkgo balboa leaf extract, oat flour and other ingredients that are supposed to help cleanse pores. You massage the mask into your dry face and, in a few minutes, it will begin to bubble up with tons of micro oxygen bubbles that are intended to deep-cleanse the pores, hydrate, eliminate excess sebum, and remove dead skin cells. I noticed an immediate difference in my skin the day after my first use of this pore pack. My face was clearer and brighter. Plus, it just feels kind of weird and relaxing to have the bubbles fizzing on your face. Definitely try this mask out. It’s an experience. 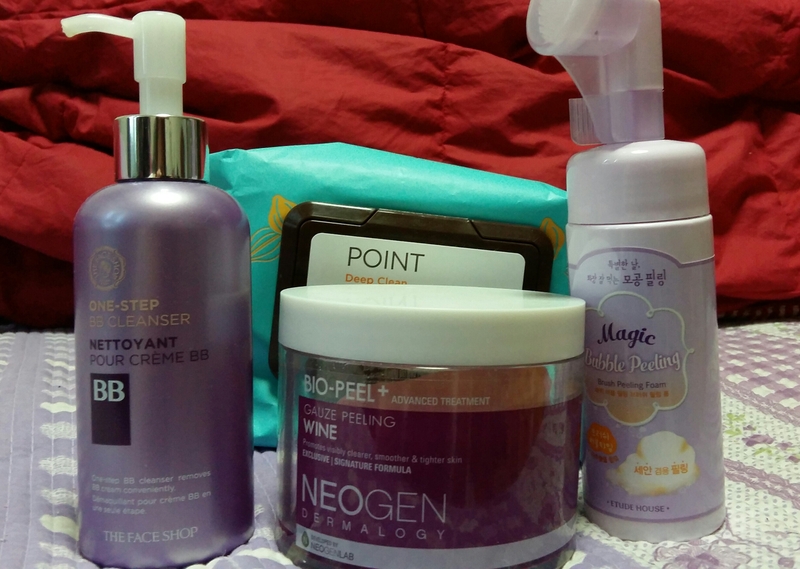 This entry was posted in Beauty, Korea and tagged A'PIEU, A’PIEU Moisture Pore Cover Balm, acne, beauty, beauty balms, blackheads, Caolion, Caolion Premium Blackhead O2 Bubble Pore Pack, charcoal, cleansing, cleansing oil, clogged pores, Etude House, Etude House Zero Sebum White Sebum Clear, face masks, k-beauty, korea, korean beauty, los angeles, makeup, mamonde, Mamonde Pore Corset Blackhead Heating Oil, sebum, skincare on November 18, 2015 by screamfmlondon. As you ascend to the top floors of SMTown at COEX Artium, the services become more deluxe. 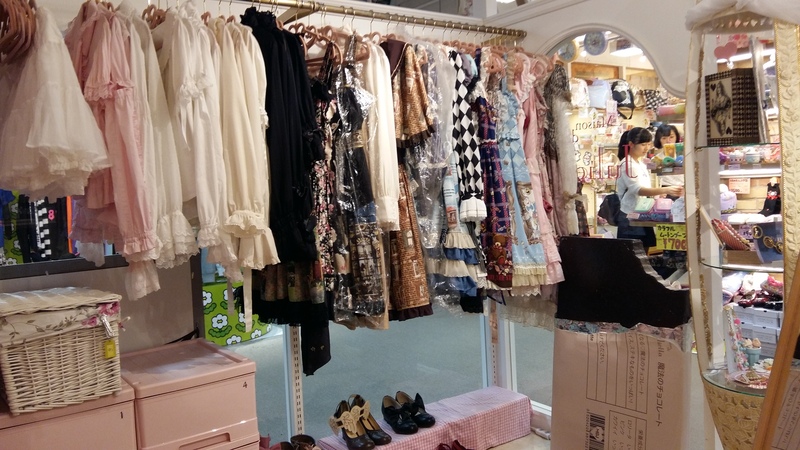 While you can purchase k-pop merchandise on the second floor, you can actually star in a k-pop music video on the third! At the SMTown Studio, fans can be professionally styled with SM-approved costumes, hair and makeup; trained to create an audio recording of their favorite song; taught the corresponding dance moves; photographed and photoshopped to their hearts’ content; and filmed in a duplicate of their favorite music video. It honestly all looks like a ton of fun — especially if you have slight delusions of grandeur and a lot of money to blow. The SMTown Studio packages range in price from about $30 (for a simple tour of the space and a commemorative photo) to $500 (for a two-hour video recording session). Most packages hover around the $100-200 range. A one-hour, one-on-one dance class costs about $100 (while a group class is around $80). A one-hour vocal training and recording session is $150, and it costs $200 (and, apparently, one and a half hours) to have your hair and makeup done. 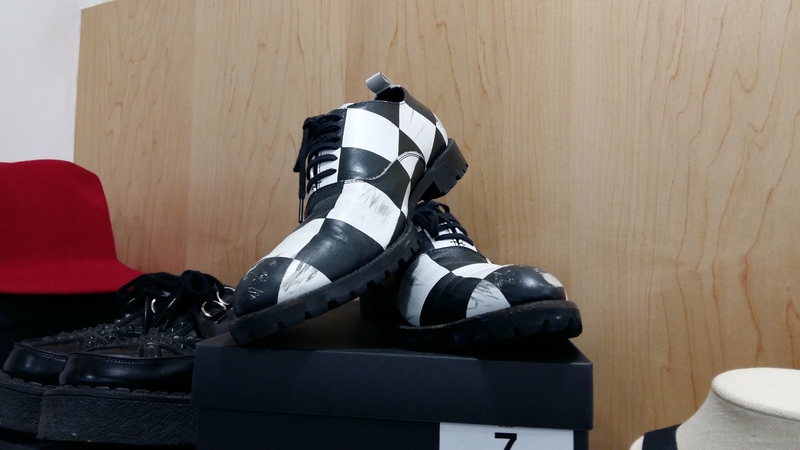 I took a tour of the studio space that culminated in a one-hour dance class. The tour begins at the makeup station, where marble tables are piled high with rows upon rows of blush, eye shadow, brushes and more. The walls are all covered with mirrors and “the best selfie lighting ever” (their words — not mine). I do not doubt, though, that SM Entertainment’s makeup artists could work some serious magic on us all with their superior beauty knowledge. It’s a tempting package, for sure. Behind the makeup station is the photo studio. It’s a pretty cavernous room decorated with yet-unreleased photos of SM artists for the guests to ogle. If you’re a fan of photoshoots, I’m sure this is a good one. 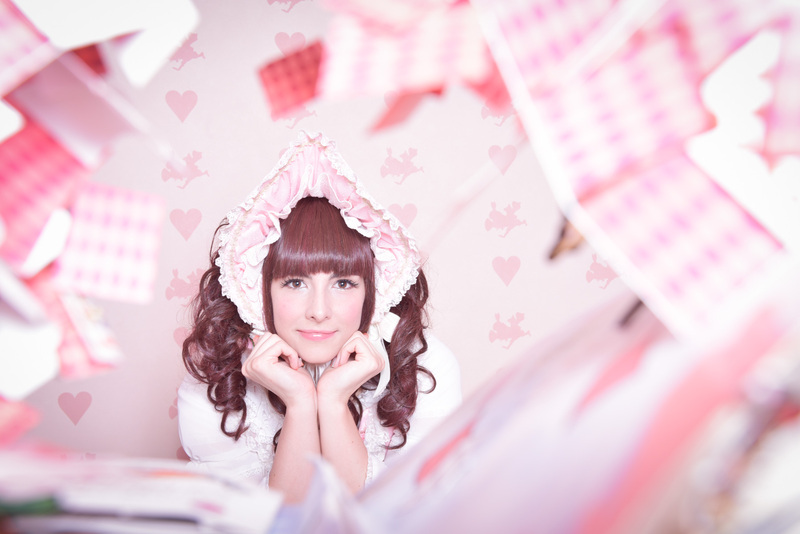 I am not a fan of photoshoots, but they took a few photos of me anyway — and specified which way I should stand to make it easiest to photoshop. 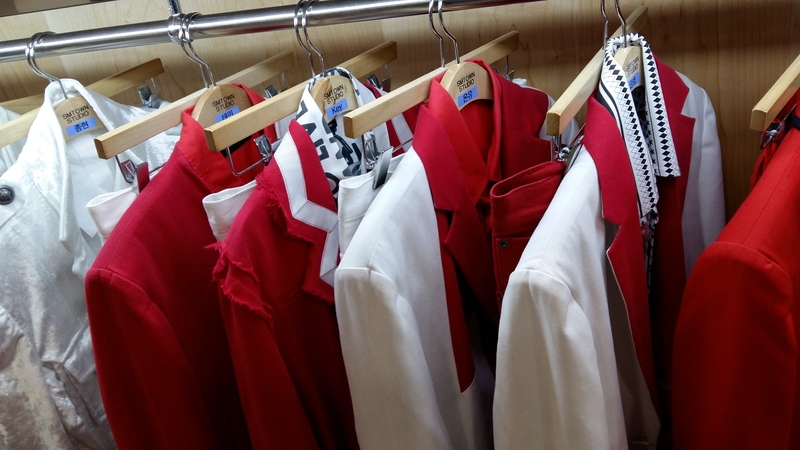 My favorite stop on the tour is the wardrobe area. 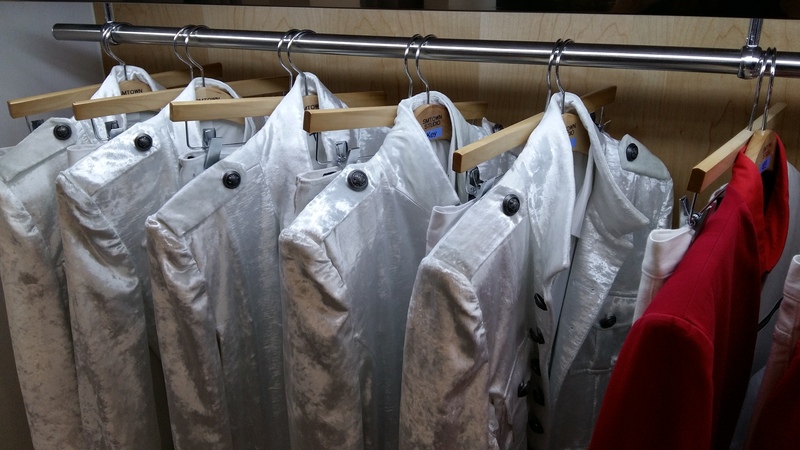 It’s a beautiful room full of costumes SM artists have worn onstage or at special events, all grouped by band and labeled with the individual members’ names. 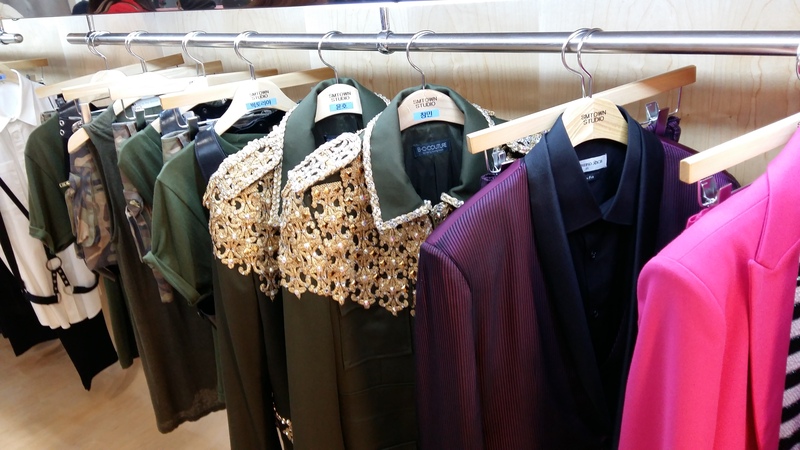 It was amazing to see these outfits up close and to examine all the details: every epaulette on SHINee’s jackets, every rhinestone on TVXQ!’s sleeves. Everything is so pristine, except for the scuff marks on the fabulous shoes. I loved it so much. Next, we visited the vocal recording rooms. Allegedly, the rooms are really, really used by actual SM artists. This was emphasized many, many times during the tour. There are a number of different recording booths equipped with what is supposed to be the best, most advanced audio recording technology out there. I would not know the difference, so I’ll have to take their word for it. From there, we journeyed through the hallways to the music video studio. 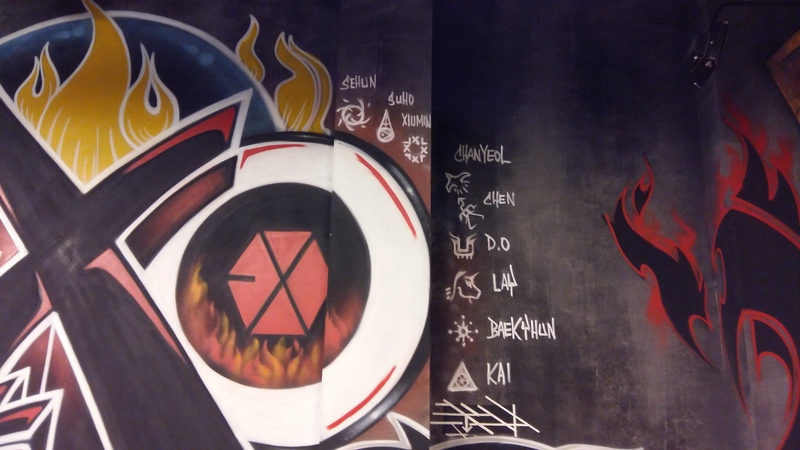 The room is divided in two halves: EXO’s “Growl” on one side and Girls’ Generation’s “Gee” on the other. This room was a little awkward for a few reasons. First, there were quite a few people sitting right in the middle of it doing some work on their computers while we’re just traipsing around, taking pictures of stuff. Also, I happened to be there not long after Tao officially announced his departure from EXO and his subsequent lawsuit against SM Entertainment. It was a little too obvious that his name had been hastily painted over on a few of the walls while it still appeared on others. Awkward. The pace of the dance was very quick, but the instructor was patient and helpful. One hour was not enough time for any of us to master any of that, but we worked hard, and it was a blast. 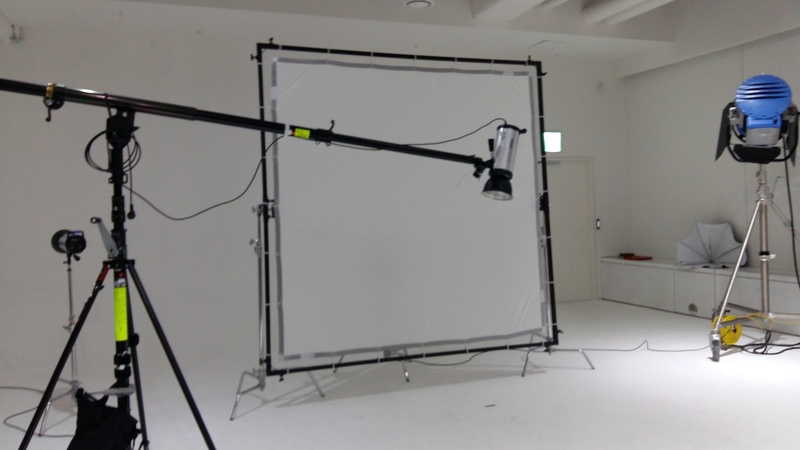 It seemed to go by very quickly, especially since a lot of time was taken when cameramen came in to record our practice and interview a few of us (including me, for some horrifying reason) about our interest in k-pop. It was a great class, though, and I was sad to leave. I could definitely imagine spending hours every day trying to perfect those dance moves, if I only could afford it. The SMTown Studio experience was an interesting one. To be honest, the studio tour is a little boring and doesn’t offer much beyond selfie ops (and not very spectacular ones at that). I would recommend heading straight for your area of interest (singing, dancing, fashion) to maximize your enjoyment of the studio. 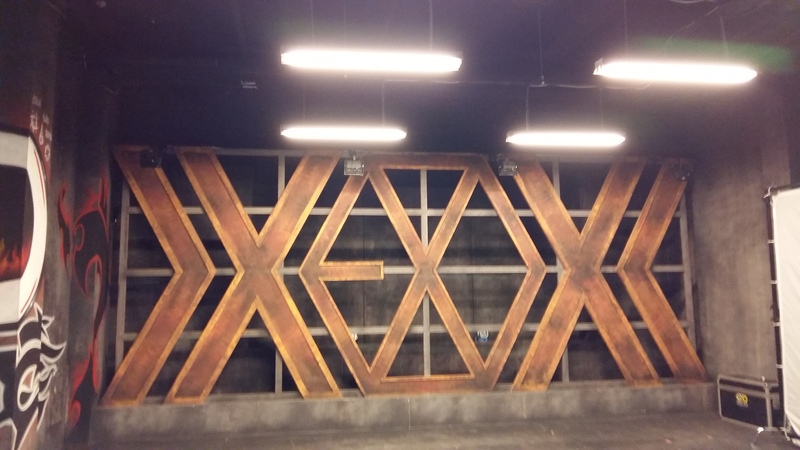 Check out my guide to SMTown’s 3D printing theater here. This entry was posted in Beauty, Fashion, Korea, Music, Seoul, Travel and tagged beauty, call me baby, Changmin, coex, coex mall, costumes, dance, dance class, EXO, fashion, Gangnam, Gee, Girls' Generation, growl, hair, jonghyun, k-beauty, k-pop, korean beauty, makeup, music, music video, photo studio, pop, selfies, seoul, shinee, shoes, SM Entertainment, smtown, SMTown at COEX Artium, SMTown Studio, tao, travel, TVXQ!, vocal training, Yunho on November 6, 2015 by screamfmlondon.